People seem to view past generations of gaming with nostalgia-tinted glasses, and I’ve encountered a fair share of forum chatters around the Internet who seem to remember games being a lot less expensive than they actually were. So I did some research (to be more accurate, I forced Retrovolve’s Mandi to do some research for me) and dug up MSRP (Manufacturer’s Suggested Retail Price) information for a slew of N64 titles for comparison. These prices come from various issues of GamePro, which listed MSRP prices alongside their game reviews. The Legend of Zelda: Ocarina of Time was a bit harder to track down, so I had to turn to the following Funcoland ad, which lists the price at $59.95. I haven’t been able to verify an official MSRP on this yet, but I’ll update this if I’m able to find a source. And keep in mind that this was 1990s money, so it doesn’t even take into account almost two decades of inflation. So the next time a bunch of forum geezers try to argue with you about the golden era when new video games cost $30, you can link this article to prove them wrong. Because there’s nothing quite like the glorious satisfaction of proving someone wrong on the Internet. Update: I managed to find MSRP info for Ocarina of Time (after several hours of searching for it), and, as promised, I wanted to provide an update. According to GamePro #124, the original MSRP was $59.99. This is only 4 cents higher than the FuncoLand price, so it’s safe to assume most major retailers sold the game for around this same price. Now, I seem to remember the game costing $80, and I’ve heard others recall similar stories, but there’s no real way to confirm this unless we dig up some ancient receipts. The official MSRP seems to be $59.99 though, and until I can find some evidence to the contrary, I’m going to have to accept that perhaps my memory isn’t as great as I’d like to think it is. Tetrisphere is the one that really gets me. That’s a $15 game, tops. 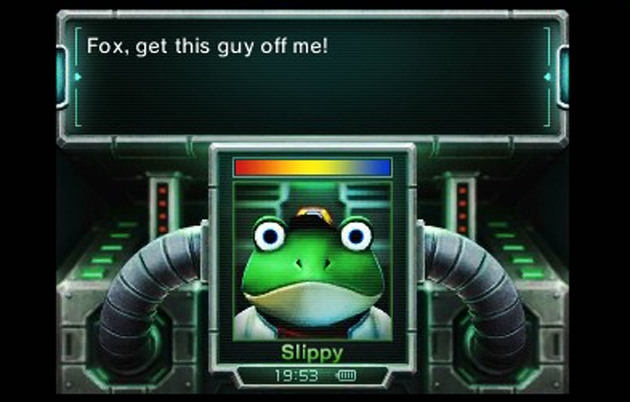 In this age of Steam where the only cost is the bandwidth used and actual game development you can think that way. Back in those days you made the cut , then production started .. plastic , chips, print boxes booklets, distribution.. it costs the same for a shittiest game as for the best game available. If I remember right, sixty bucks was the standard for new N64 games, even late in its life cycle. It was awful. There was always the “Player’s Choice” titles that, for a bargain of just $40, only took three months worth of lawn mowing money to save up for… Bastards. Tetrisphere should be $Zero. If memory serves me correctly Zelda was $80 when it launched. I remember Ocarina of Time being $80 at launch, for some reason. The only price I could find was this FuncoLand ad, though, which lists $59.95. I’m still looking to see if I can find an official MSRP. It’s possible FuncoLand was trying to severely undercut the competition with this price. 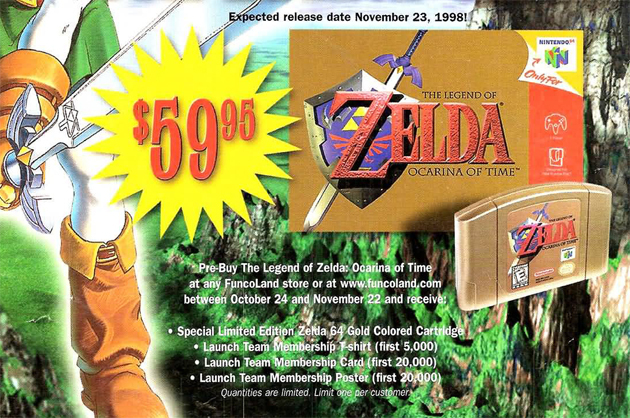 Looks like Ocarina of Time was actually one of the less expensive first party Nintendo titles. No wonder N64 didn’t sell as much: first party titles were just too high at the time to have it sell more. It would have done more if they’d been cheaper and possibly rewrite the history of the Playstation. Anyway, still surprised Nintendo started the $60 trend. Wish games were cheaper now. 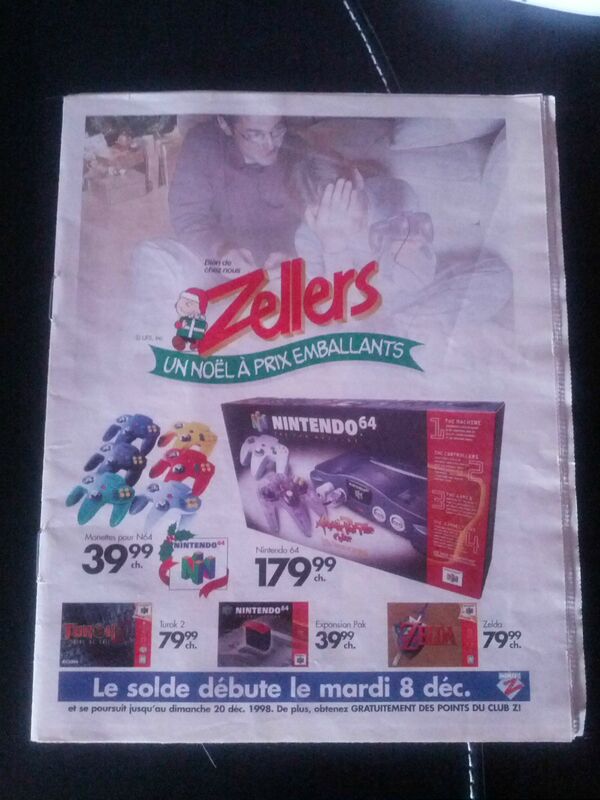 It’s a Canadian Holiday ad from 1998 that shows Canadian pricing of N64 games, systems, and controllers. Thanks, user LamboNexus!